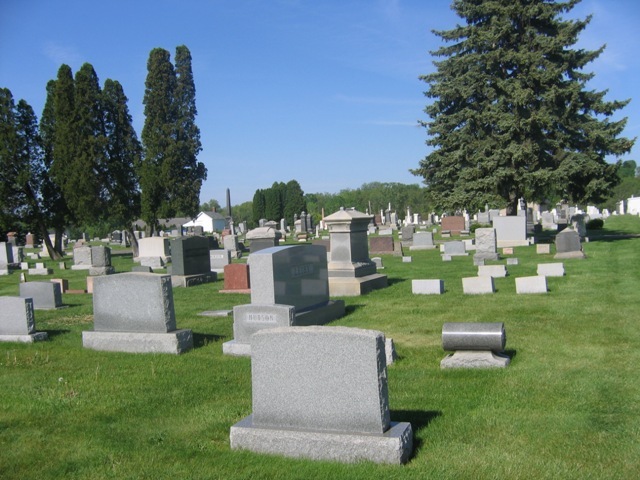 History: The original cemetery was established around 1820 and consisted of 7 plus acres. 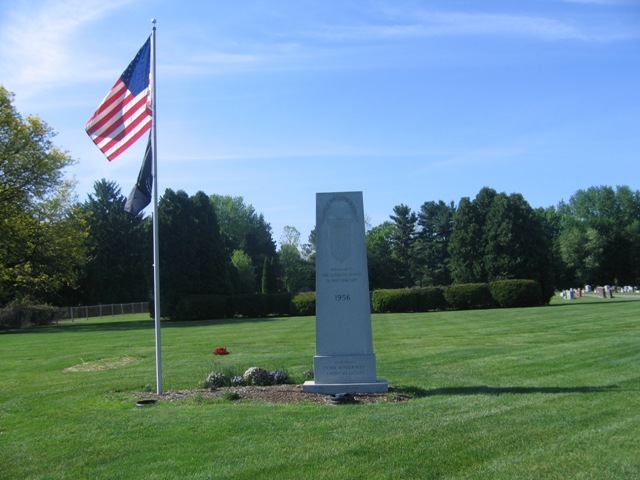 At some point, the Myers family donated approximately 3.25 acres to increase the size of the original cemetery, establish a veterans' section, and provide burial grounds for their family. There are three lanes thru this cemetery: East Main Street, West Main Street and Pennsylvania Avenue. 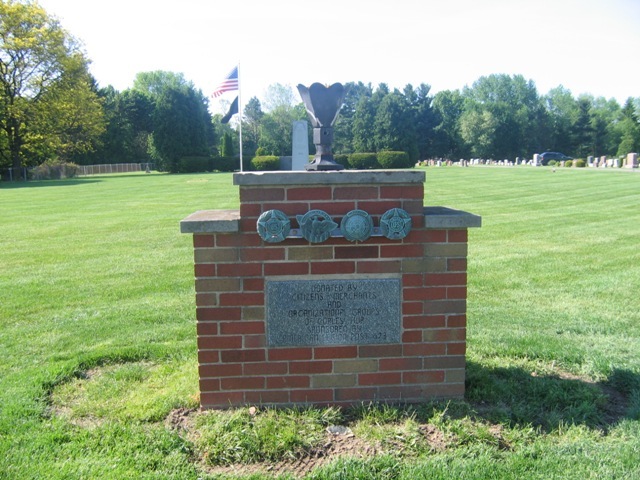 Chapter Publications: Gravestone inscriptions have been published in our 1978 book "Summit County Cemetery Inscriptions Vol 1" . The original volume is available in the Special Collections Dept. of the Akron-Summit County Public Library (Main Branch) as well as many other local libraries. 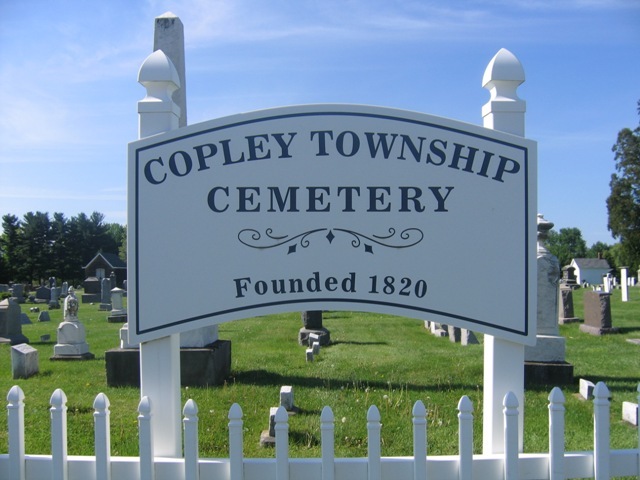 This cemetery has now been updated and the inscription readings were released in 2015 in the "Copley Township Cemeteries" book, currently available for purchase.